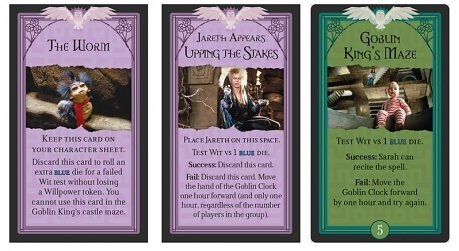 Labyrinth fans – get EXCITED! 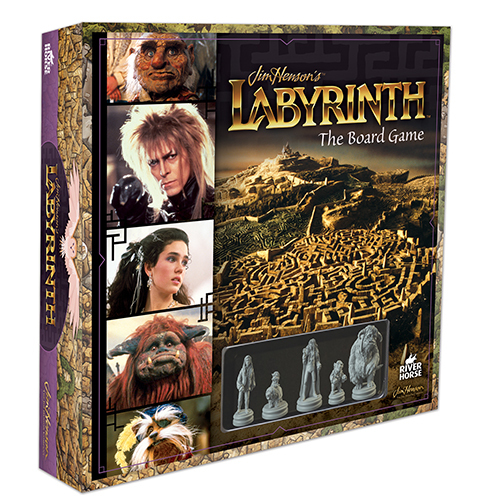 As if spoiling you with our range of exclusive Labyrinth Clothing and gifts wasn’t enough, we’re so excited to tell you more about the new Labyrinth Boardgame which is due for release this Summer, priced at £39.99. Can you defeat the Labyrinth or will Jareth turn Toby into a goblin babe? You have 13 hours to find out with this epic board game base on the classic Labyrinth movie by Jim Henson. Each player takes on the role of either Sarah, Hoggle, Ludo, or Didymus and much like the film, players have ’13 hours’ to navigate Jareth’s labyrinth to rescue baby Toby. The gameplay is designed to be fast-paced, family friendly, and open for up to four players. The game consists of two distinct stages, one where the group must adventure through the labyrinth trying to find the goblin city whilst keeping their willpower as high as possible (nobody wants to fall into the oubliette! ), and a second action packed stage where the players must fight their way into Jareth’s castle where Sarah must say the magical words that will release her brother. Created by the fabulous folk at River Horse, this is a true collectors piece which has been beautifully illustrated and crafted with an amazing attention to detail! In the meantime though, to help ease the wait *sigh* we caught up with game creator and River Horse Managing Director, Alessio Cavatore to find out more about his epic new creation! So, how did the idea for a Labyrinth Board game come about? There is a line in the novelisation of the Labyrinth, where Jareth says that ‘it pleased him to think of his Labyrinth as a board game’! And I agree with him! Can you tell us a little bit more about the game play and the aim of the game? The game is a cooperative adventure for 1-4 players, which chose their characters between Sarah, Ludo, Hoggle and Sir Dydimus (with a 5-player variant where one player is Jareth and plays against the other players). The characters adventure on the board though the labyrinth, meeting creatures and riddles in an attempt to get to the castle and save Toby, in 13 hours… so 13 game turns! When they find the entrance to the Goblin city, then they have to battle their way through the Goblin guard and defeat Jareth in his castle maze… to recite the spell and save the babe! How did you find working with the team at Henson? Were they as excited as you (and us!) to see the game develop? Oh, they were delightful to work with – all parties involved were so excited about this project, and I think it shows! Is there anything that Labyrinth fans would be surprised to know about the making of the game? The fact that I’d done the initial design on a plane to Japan, only to later find out that apparently Jim Henson had conceived the idea for the movie… while on a plane to Japan! Why do you think Labyrinth is still such a huge fan favourite even 30 years after its release? Because it’s a work of love… and that love remains true through the years. On a personal note, who’s your favourite character from the movie? I saw it when I was fourteen… and I always identified with Sir Dydimus… and kinda had a crush on Sarah! 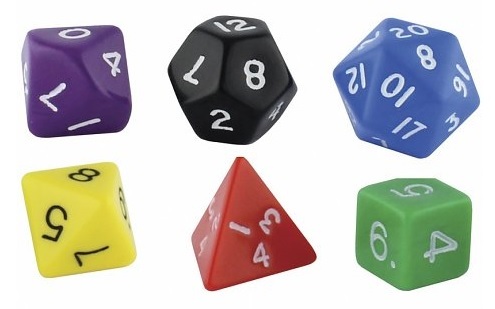 Are there any other films you’d love to work with on your next board game? Well, we are working on several films and properties I truly love – Terminator, the Hunt for Red October, The Hunger Games, and… My Little Pony! Please visit our website and see it for yourself at www.riverhorse.eu. So there you go folks! Cool eh? If like us, you can’t wait to finally get your hands on a copy, don’t forget to add yourself to our waiting list by clicking the ‘Notify Me’ button on the Labyrinth The Board Game product page to receive an email the second this game hits the site. 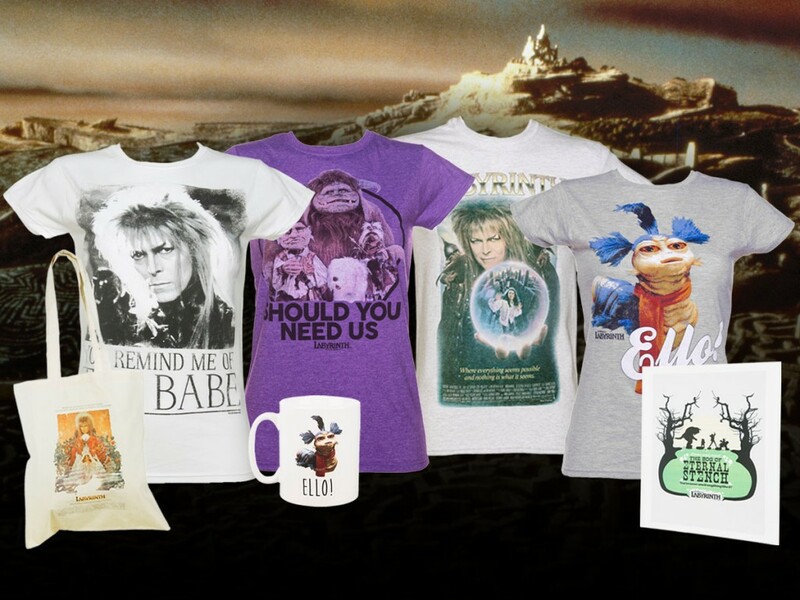 And in the meantime, don’t forget to check out our official range of Labyrinth tees, sweaters and gifts….